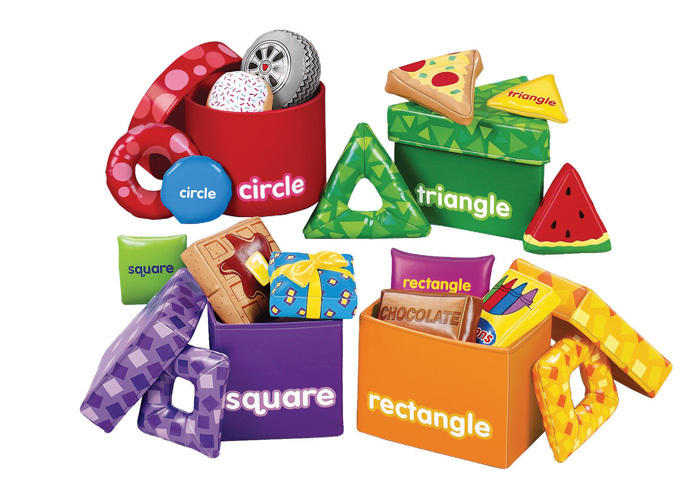  Introduce basic shapes with this set of 4 vinyl boxes.  Each box contains 4 familiar items including a labeled beanbag, an abstract shape and two everyday objects.  Includes plastic storage bag with zip.  Suitable for ages 9 months and up.  Dimensions: 125 x 125mm.